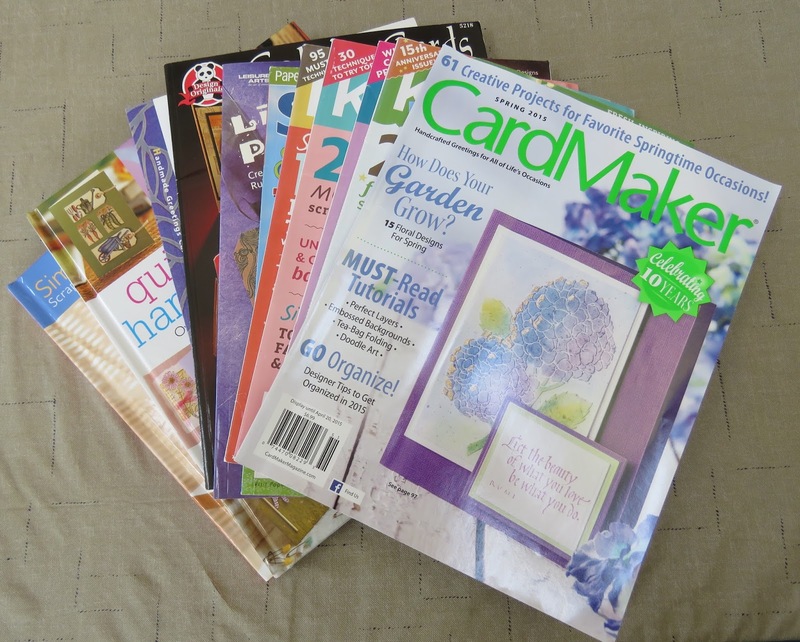 This is just a sampling of the paper craft books and magazines I've found at book sales this summer. When they're anywhere from 25 cents to $1 each, they're difficult for me to pass up. My addiction to books, as my husband politely puts it, definitely crosses over into my business life as well. 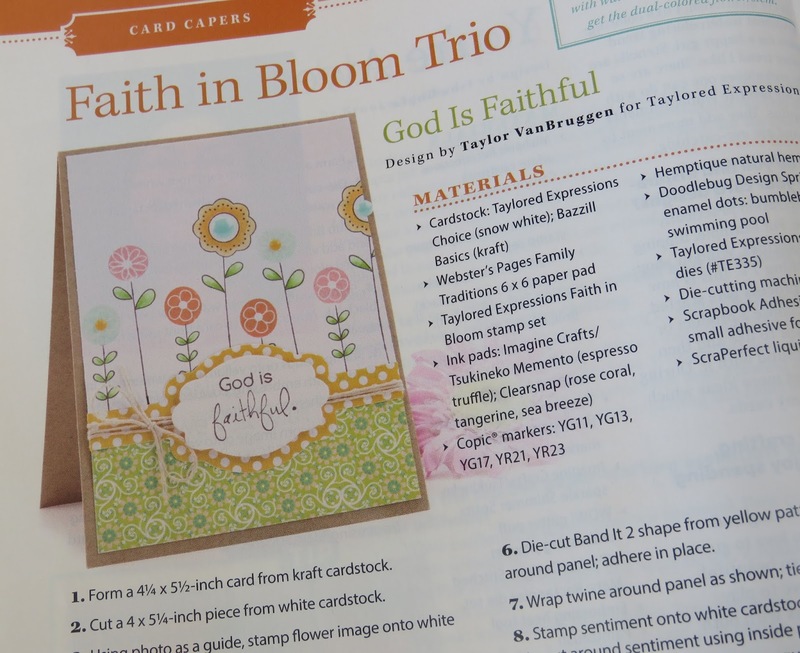 During one particular afternoon's creative jumpstart session, I saw this lovely card in one of the magazines. 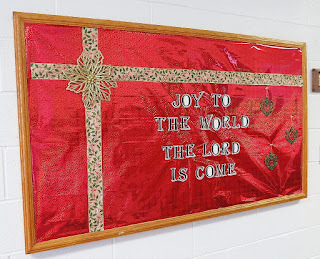 While I especially liked the sentiment in the center, the simple layout and beautiful color scheme really caught my eye. This spark of inspiration put a card in my head with this layout, but with my own spin on it. 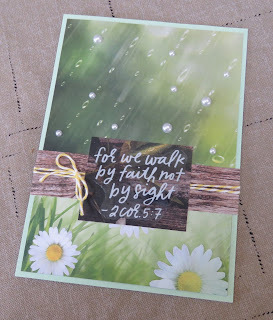 For my card, I kept the same template, using spring rain and daisies as my theme. 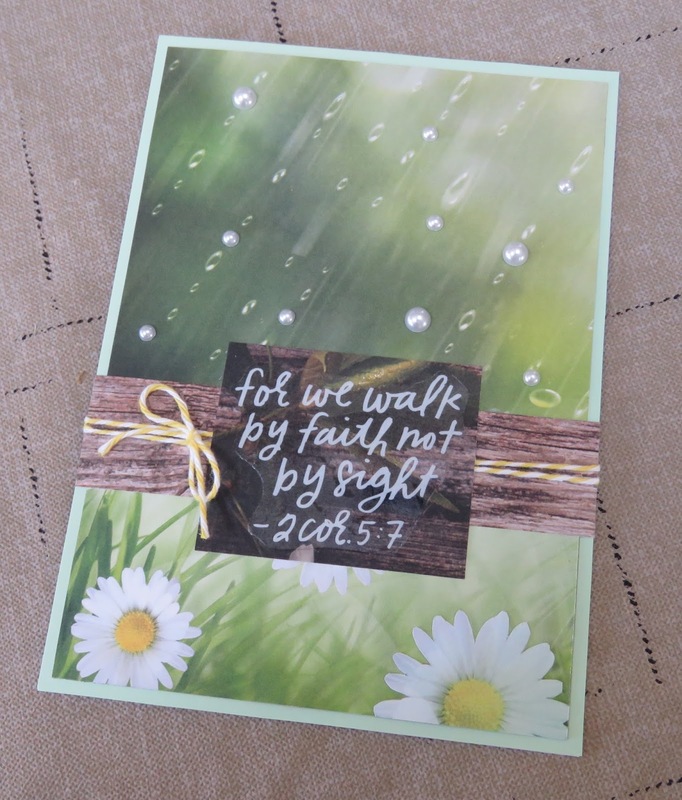 I chose a sentiment that would fit in the center of the card and matted it on distressed wood decorator paper. Instead of hemp rope, I used yellow baker's twine to set off the yellow in the flowers. For a finishing touch, I used two different sizes of pearls in place of a few rain drops. Where can you find some creative inspiration today? 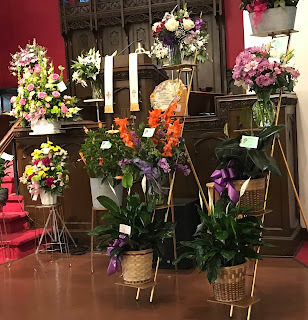 So You Got What You Prayed For ... Now What? A Present For You On My Birthday! How Closely Are You Following?